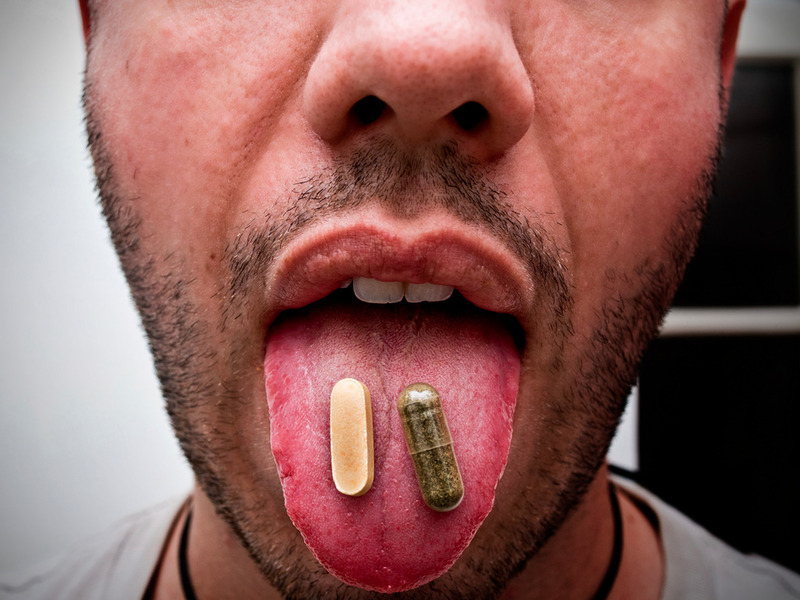 The FDA lacks the power to regulate the $A48.21 billion vitamin and supplement industry. Supplements send thousands of people to the emergency room each year and can be contaminated with banned drugs or bacteria. Pills that advertise their ability to help with weight loss or muscle building are typically the riskiest of the supplements, experts say. The supplement industry is still running strong, fuelled by companies like Gwyneth Paltrow’s Goop. When Pouya Jamshidi, a resident at Weill Cornell Medical College, delivered his first baby, the doctor on call told him to take the newborn away from its mother. The baby, a healthy girl with mocha-pink skin and a powerful set of lungs, was being quarantined. In the middle of the pregnancy, her mother had come down with tuberculosis. She’d contracted the contagious lung infection in her teens, and the illness came back despite preventative antibiotics and regular screenings. The cause: a popular herbal supplement called St. John’s wort. St. John’s wort is one of the most popular herbal supplements sold in the United States. But in 2000, the National Institutes of Health published a study showing that St. John’s wort could severely curb the effectiveness of several important pharmaceutical drugs — including antibiotics, birth control, and antiretrovirals for infections like HIV — by speeding up their breakdown in the body. “It basically overmetabolized the antibiotics so they weren’t in her system in the correct dose,” Jamshidi said. The findings on St. John’s wort prompted the US Food and Drug Administration to warn doctors about the herbal remedy. But that did little to stem public sale or consumption of it. Over the past two decades, US poison-control centres have gotten about 275,000 reports — roughly one every 24 minutes — of people who reacted badly to supplements; a third of them were about herbal remedies like St. John’s wort. The FDA defines supplements as products “intended to add further nutritional value to (supplement) the diet.” They aren’t regulated as drugs — only when a supplement is shown to cause significant harm is it called out as unsafe. Half of all adult participants in a survey in the mid-2000s said they took at least one supplement every day — almost the same percentage of Americans who took them two decades ago. Yet research has consistently found the pills and powders to be ineffective and sometimes dangerous. In November, researchers at Harvard Medical School identified four unapproved, unlisted stimulants in six supplements currently marketed for weight loss and fitness. Evidence suggests the stimulants could be similar to ephedrine, a compound derived from ephedra, the dangerous and lethal weight-loss supplement that the FDA banned in 2004. Steve Mister, the president and CEO of the Council for Responsible Nutrition, a Washington, DC-based trade organisation representing more than 150 supplement and other companies, told Business Insider in September that this kind of adulteration harms the supplement companies who make legitimate products. “There is nothing legal about supplements that contain things that aren’t on the label,” Mister said. 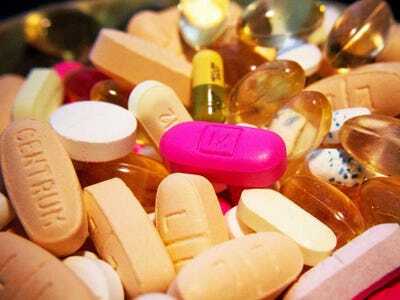 Public health experts recommend that people stay away from supplements altogether. Despite many such warnings, the supplement industry’s market is as much as $A48.21 billion a year, according to one estimate. Ads for supplements can be found on internet pop-up windows, on social media, in magazine pages, and on TV. They’re sold in corner health stores, pharmacies, and big grocery conglomerates. 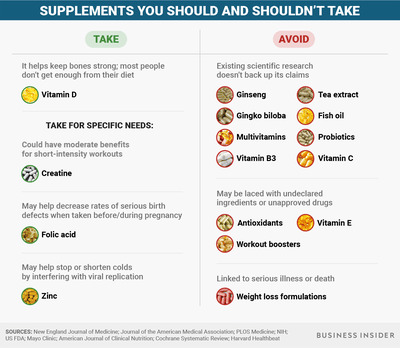 But supplements do not come with explicit instructions on how much to take — only a suggested dose — or potential drug interactions. Jamshidi’s patient had no idea she was putting her life or that of her baby at risk. But she was not alone. Using data from 2004 to 2013, the authors of a 2016 study published in the New England Journal of Medicine estimated that 23,005 emergency-room visits a year were linked to supplements. Between 2000 and 2012, the annual rate of negative reactions to supplements — or “exposures” as they are known in scientific parlance — rose from 3.5 to 9.3 cases per 100,000 people, a 166% increase. Jamshidi said he knew many people who took a daily multivitamin and tried herbal formulations now and again when they were feeling tired or unwell and always withheld judgment. But he remembers the moment he became wary of supplements: when the pregnant woman his team was monitoring began coughing up phlegm. “She had been an incredibly cooperative patient, super engaged and always showing up on time for her visits, taking all of our instructions carefully — just a really good patient,” Jamshidi said. When Jamshidi and his team realised their patient’s tuberculosis was back, they asked if she’d started any new medications. She said no, but the next day she arrived at the clinic with a small bottle of St. John’s wort. She said she had been taking the herbal remedy for the feelings of depression she experienced after her last pregnancy. Although some small studies initially suggested St. John’s wort could have benefits for people with depressive symptoms, the NIH researchers failed to find enough evidence to support that. Jamshidi’s patient had to be isolated to ensure the infection didn’t spread. She spent the last three months of her pregnancy alone. “It was miserable — she was isolated for all that time, and then she couldn’t even hold the baby,” Jamshidi said. In his opinion, one of the reasons many people end up in emergency rooms after taking supplements is that the quantities of active ingredients in them can vary dramatically. A 2013 study published in the journal BMC Medicine found that doses of ingredients in supplements could even vary from pill to pill — which poses a significant hurdle for doctors trying to treat a negative reaction. By isolating the first “vitamine” in 1912, the Polish chemist Casimir Funk unwittingly unleashed a frenzy among chemists to create or synthesise vitamins in the lab. 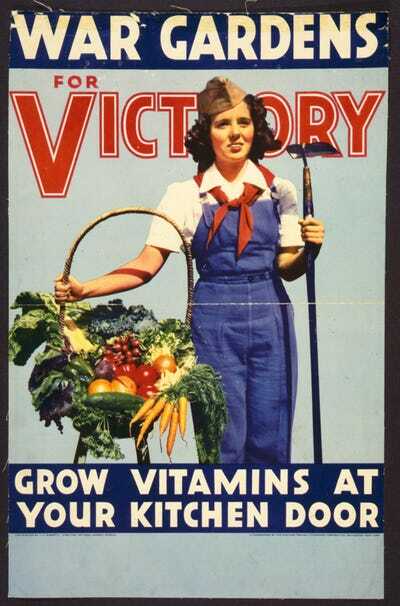 Library of CongressA 1917 poster from the US Department of Agriculture advertised the ability to ‘grow vitamins’ at home. In recent years, however, a new generation of supplements has emerged targeting primarily middle-class and affluent women. These formulas ooze with the lifestyle trends of 2017: minimalism (“Everything you need and nothing you don’t!”), bright colours, “clean eating,” and personalisation. The actress Gwyneth Paltrow’s new lineup of $A117 monthly vitamin packs — released through her controversial wellness company, Goop — have appealing names like “Why Am I So Effing Tired” and “High School Genes.” They claim to deliver health benefits like energy boosts and metabolism jump-starts. 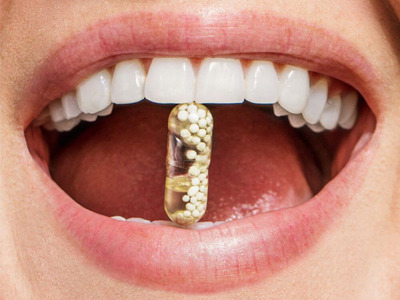 “What is different about what Goop offers is that the combinations, the protocols put together, were done by doctors in Goop’s team,” Alejandro Junger, a cardiologist who helped design several of Goop’s multivitamin packs, told Business Insider. But a look at the ingredients in “Why Am I So Effing Tired,” which Junger helped design, suggests the formula is not based on rigorous science. The vitamin packets include 12.5 milligrams of vitamin B6 — about 960% of the recommended daily allowance (although on Goop’s label it is listed as 625%) — and ingredients like rosemary extract and Chinese yam, whose effects have never been studied in humans and for which no standard daily allowance exists. According to the Mayo Clinic, vitamin B6 is “likely safe” in the recommended daily intake amount: 1.3 milligrams for people ages 19-50. But taking too much of the supplement has been linked with abnormal heart rhythms, decreased muscle tone, and worsened asthma. High doses of B6 can also cause drops in blood pressure, the Mayo Clinic notes, and can interact with drugs like Advil, Motrin, and those prescribed for anxiety and Alzheimer’s. “People using any medications should check the package insert and speak with a qualified healthcare professional, including a pharmacist, about possible interactions,” the Mayo Clinic’s website says. A month’s supply of the glasslike capsules — filled with tiny white beads suspended in oil — costs $A40. But the pills don’t differ much more than your standard, cheaper multivitamin — they have similar amounts of magnesium, vitamin K, folate, vitamin B12, iron, boron, vitamin E, and vitamin D.
VitaMe, another new supplement manufacturer, ships personalised daily packets with names like “Good Hair Day” and “Bridal Boost” in a box resembling a tea-bag dispenser each month for $A52. Its website says: “Our mission is peak nutrition. Delivered.” But its ingredients don’t differ drastically from those in conventional vitamins either. No matter how colourful their packaging or messaging, all these supplements fall prey to the same problem: We simply do not need them to be healthy. 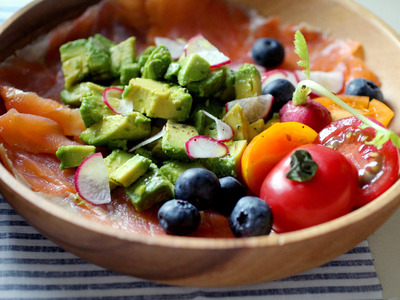 Risks aside, research has suggested that our bodies are better equipped to process the vitamins and minerals in whole foods than those in pills. When we bite into a juicy peach or a crunchy Brussels sprout, we’re ingesting dozens of nutrients, including phytochemicals like isothiocyanates, as well as carotenoids. After spending the last few months of her pregnancy and the first few weeks of her new baby’s life in isolation, Jamshidi’s patient was able to go home and be with her family. Jamshidi said the experience changed the way he thought about supplements for good. “I feel very negatively about them, and I didn’t feel this way going into it,” he said. In 1994, Congress passed a controversial law called the Dietary Supplement Health and Education Act. Tave said that before DSHEA passed, the FDA was starting to regulate supplements more stringently, the way it does pharmaceutical drugs, but getting “pushback from the industry.” The law forced the agency to be more lenient. “So if the drug says, you know, ‘used to treat cancer,’ then the agency’s reviewers are going to look at it and make a determination that there’s evidence that it does treat cancer,” Tave said. When DSHEA was passed, Tave said, the bill still made sense. In 1994, about 600 supplement companies were producing about 4,000 products for a total revenue of about $A5.21 billion. But that market has since ballooned — today, close to 6,000 companies pump out about 75,000 products. “We’re regulating that with 26 people and a budget of $US5 million,” Tave said. Removing a supplement from store shelves comes down to documented emergency-room visits and calls to poison-control centres. Only when a supplement is reported to be unsafe as a result of one of these “adverse events,” as the FDA calls them, is the agency compelled to act. Most unsafe supplements have been found to contain ingredients that aren’t listed on their labels — usually, these are pharmaceutical drugs, some of which have been banned by the FDA. Austin says three categories of supplements are the “most lawless of the industry”: physical enhancement, weight loss, and sexual performance. Tave’s 26-person team, the only government employees looking into these issues, didn’t even have a dedicated office until about a year and a half ago. Dangerous supplements continue to seep through the cracks, however. In 2016, the world’s largest supplement maker, GNC Holdings Inc., agreed to pay $A2.93 million to avoid federal prosecution over allegations that it sold a performance-enhancing supplement that claimed to increase speed, strength, and endurance with an active ingredient called dimethylamylamine, or DMAA. Two soldiers who used the supplement died in 2011, which prompted the Defence Department to remove all products containing DMAA from stores on military bases. A recent indictment against USPlabs, the Texas-based company that made the supplement, accused it of falsely claiming the product was made of natural plant extracts when it really contained synthetic stimulants made in China. The problems are ongoing. Earlier this year, the FDA recalled several supplements after they were found to contain unapproved new drugs, and two more were recalled after they were found to contain unlisted anabolic steroids. On August 11, just days before this article was published, the FDA recalled another batch of supplements — this time pills manufactured by a company called PharmaTech — because of possible contamination with bacteria that can cause serious respiratory infection.